Soon after Assam Governor PB Acharya on Sunday invited Leader of Legislature Party of the BJP Sarbananda Sonowal to form the state government, speculations were rife as to who would take oath along with the new chief minister at the gala event on Tuesday. Although no official list of names is out yet, BJP is likely to follow 5 MLAs : 1 ministry formula to accommodate its allies in the new cabinet. 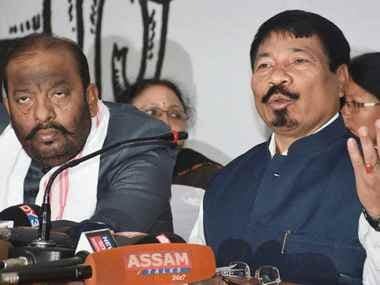 According to regional media, the new ministry is likely to have 10 MLAs from the BJP, three from the Asom Gana Parishad, two from Bodoland People's Front and one from the Gana Shakti Party. 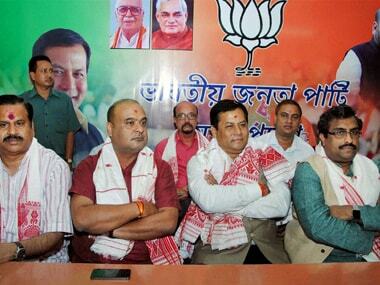 A new ministry is required to have 19 members but Sonowal is likely to start off with 17 legislators. 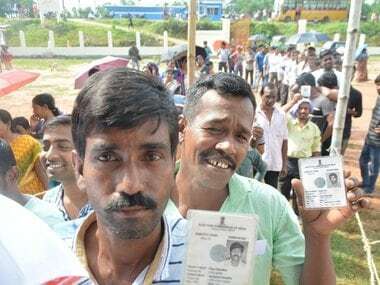 Among the prominent names that are doing the rounds for inclusion in the to-be-formed ministry are Himanta Biswa Sarma, Chandramohan Patowary, Siddhartha Bhattacharya or Hitendra Nath Goswami, BJP's Atul Bora (not AGP chief Atul Bora), Phani Bhusan Choudhury, Kesab Mahanta, Chandan Brahma or Pramilarani Brahma among others. BJP legislators Ranjit Dutta, Ranjit Das, Angurlata Deka, Parimal Suklabaidya, Shiladitya Deb, Padma Hazarika and Aminul Haque Laskar are touted to be part of the first Sonowal ministry. Lone MLA from the Gana Shakti Party, Bhuban Pegu, could also find a ministerial berth for himself. There are also talks of either Bhattacharya or Goswami taking over as the Speaker but nothing can be confirmed in the absence of an official notification. In all probability, the ministry would soon see an extension as the BJP allies are quietly raising decibels seeking more ministerial seats. 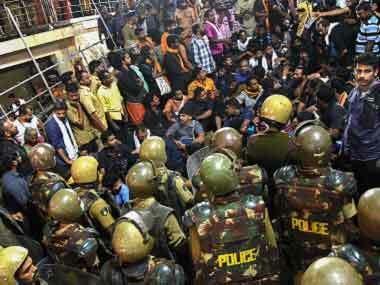 On Sunday, the key allies of the BJP —the AGP and BPF — had a closed-door meeting on the ministerial equations. For the moment, bonhomie exists among all the alliance parties and Sonowal knows well that if the allies are not satisfied soon, he won't have a smooth run in his new office. The oath-taking ceremony would take place at the College of Veterinary Science playground, Khanapara at 4 pm on Tuesday in the presence of 10 chief ministers, around 30 union ministers and three-to-four deputy chief ministers.